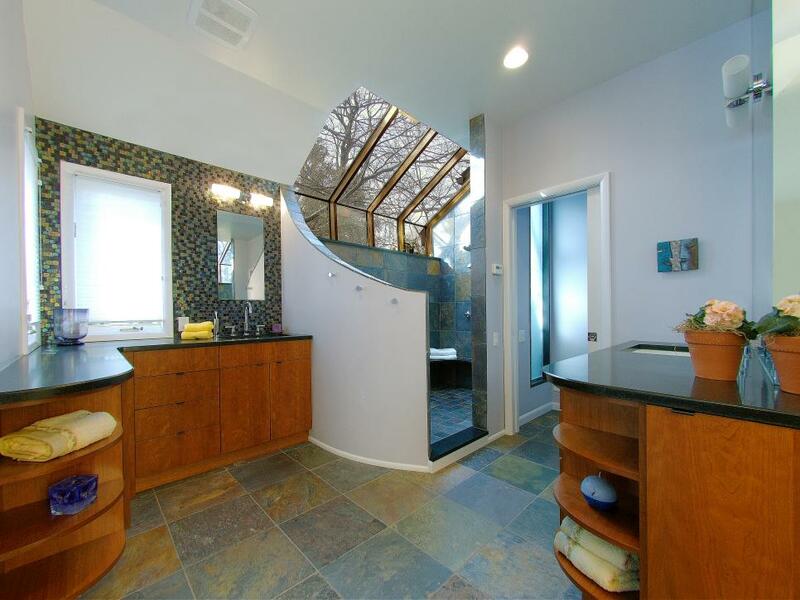 Updating or remodeling your bathroom can be a great investment of your home improvement dollars, especially if you plan to sell your home in the next few years. Remodeling this small space can also enhance its functionality, enabling you to enjoy the often-forgotten area of your home to its fullest. 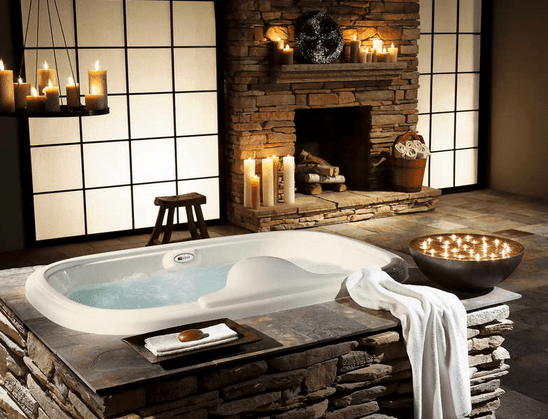 Here are some of the top bathroom remodeling ideas updated for Summer 2018, along with their costs and the pros and cons of each remodeling upgrade. 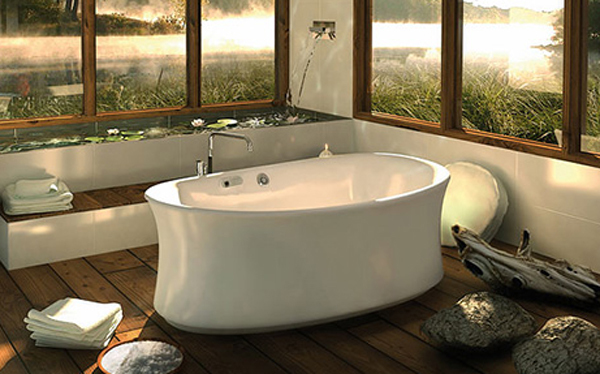 Stone tile creates a natural look to your bathroom while providing the durability you need in a humid area. While tile has long been popular for this room, the look of stone creates warmth while being a good long-term investment option. 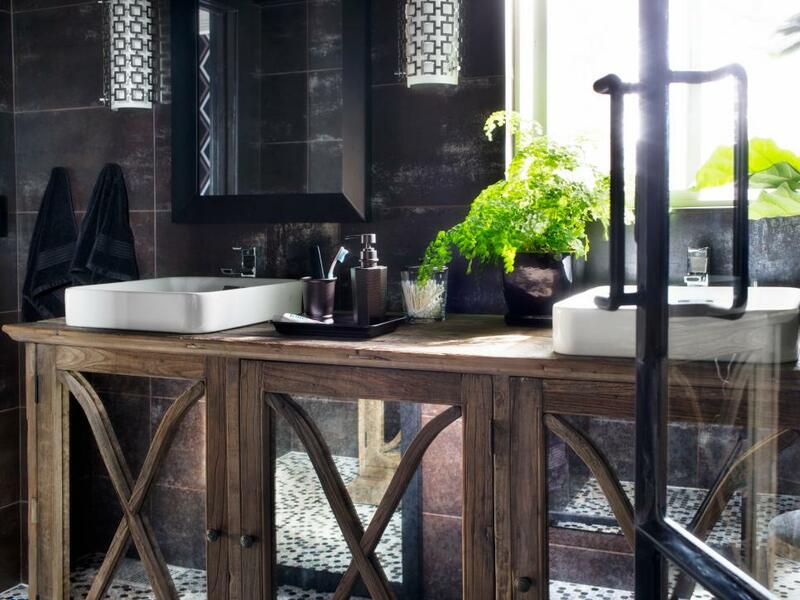 Choose marble, limestone or even onyx for a unique look on your bathroom floors. Travertine is an upscale version which is stylish and long-lasting. Costs: Prices begin at $200 for a 100 square feet room, but can increase for more custom styles. Hardwood is seldom a good idea in bathrooms because of the wetness and humidity. However, that doesn’t mean you can’t have the look of wood to create warmth in the space. Engineered wood is the better option because it uses plywood as the base and real wood for the top layer. Another option is to choose a high-quality laminate that looks like wood. Most people won’t be able to tell the difference. While heated floors aren’t a new trend, they are continuing to gain popularity as they become more affordable. Radiant heat is installed under a new floor or with an existing floor, which makes taking a shower and getting dressed in cold weather a little more bearable. Costs: Around $600 to $800 for 100 square feet. The right lighting is essential for such a small space, especially for getting dressed and applying makeup. The latest trends in lighting focus on providing more natural lighting to brighten the room and make it more practical. 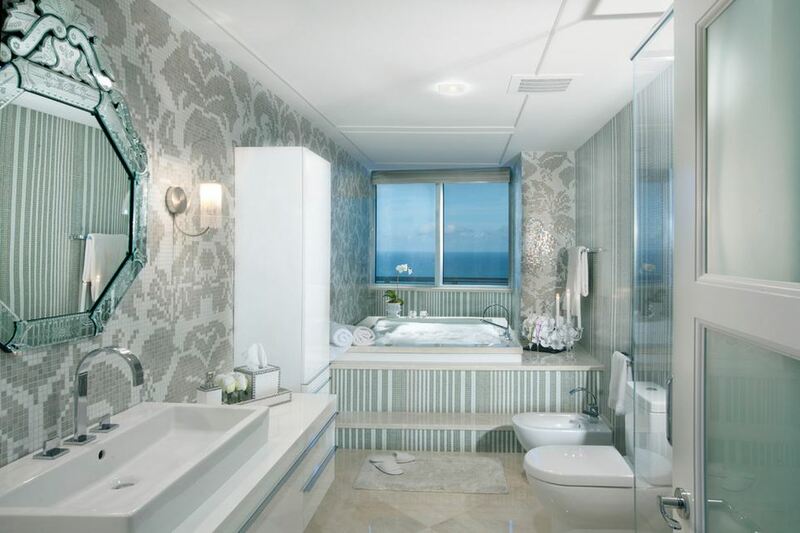 Instead of using one strong light with a lot of glare over the vanity, bathrooms today incorporate multiple fixtures. One light may be placed over the mirror while two sconces are set to the sides. Lower watt bulbs are used while the multiple fixtures provide enough light without being too harsh or glaring. Costs: Starts at less than $100 to several hundreds of dollars, depending on the style and installation. Gone are the days when one overhead light fixture was all you needed. 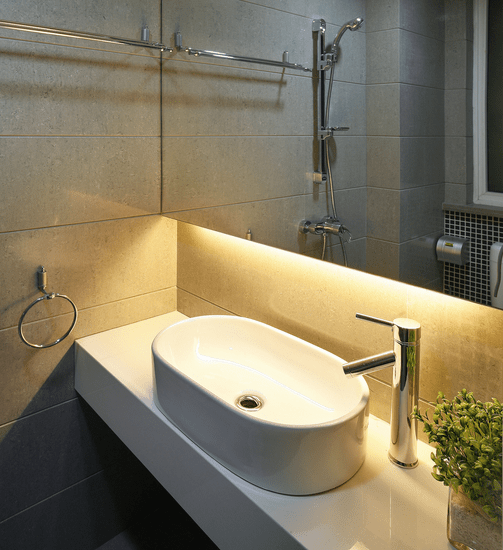 Modern bathrooms use light to create a soft mood. Recessed lighting over the shower ensures better illumination while sconces that point upward soften the space in other areas when you don’t need bright lights. Costs: Ranges from $50 for sconces to several hundreds of dollars if you have to add lighting with a professional. Not all lighting has to be practical in a bathroom. You can use soft accent lighting to create a mood or showcase a specific area. For instance, miniature chandeliers hung over the bathtub create a sense of luxury. Use accent lighting to highlight artwork or a special mirror or cabinet just as you would in another room. Costs: Depends on how many lights you need, can start at less than $100 each. One of the easiest ways to make a big statement in a little room is with the countertop. With materials ranging from cheap to expensive, you have plenty of options. Some will add value to your home and a sense of modern sophistication while others will simply update the space on a tight budget. 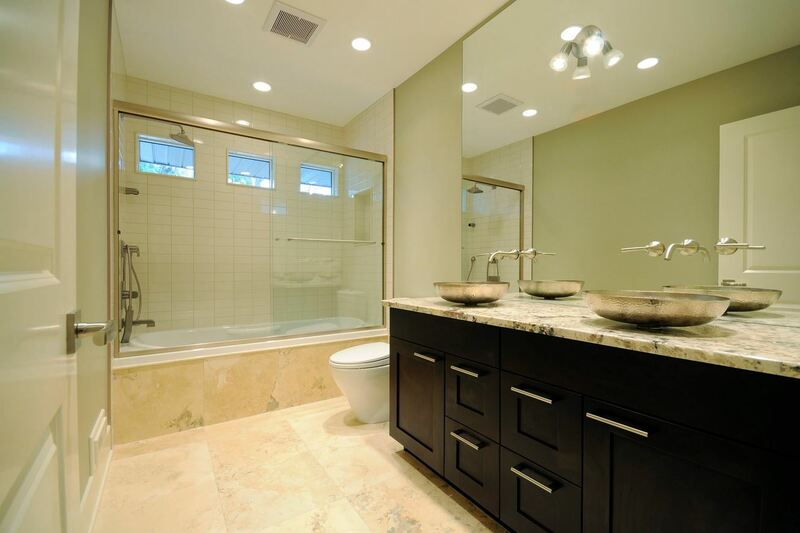 Granite is still the top countertop of choice in bathroom remodels. Many people choose this material because they love the look and feel. While granite is more expensive than other materials, it’s also durable and long-lasting and comes in a wide range of colors. 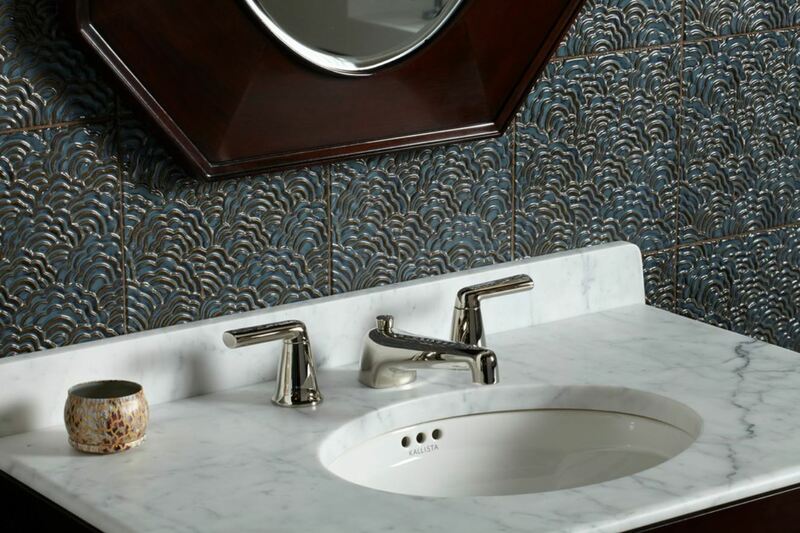 Since the vanity is usually such a small area, it’s more affordable to add granite in the bathroom than in the kitchen and provides a little taste of luxury. Costs: Ranges from $80 per square foot for stock patterns to $155 for custom styles. Ceramic tile is less expensive, but porcelain is also a great option. 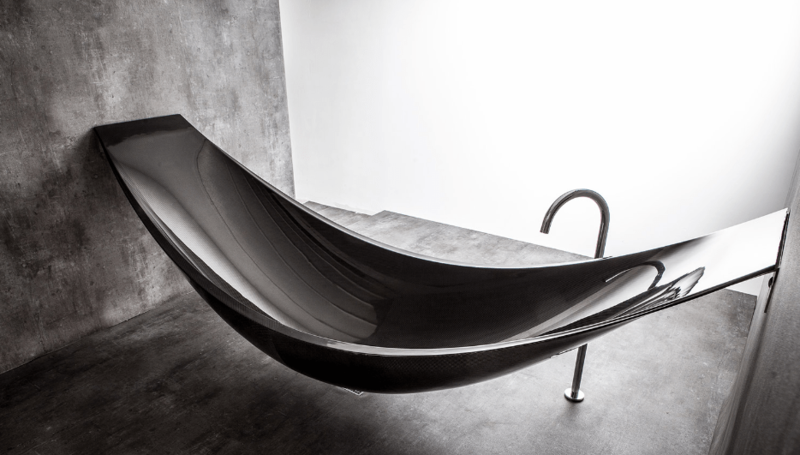 It’s designed to be durable in such a busy space, and you can find all kinds of designs to fit your décor. Whichever option you choose, go for the higher price to create a more sophisticated look. You can use the same tile on the floor as what you put on the shower walls for a modern look and feel. Costs: can vary from just over $1 per square foot to more than $100 per square foot if you choose a high-end look. 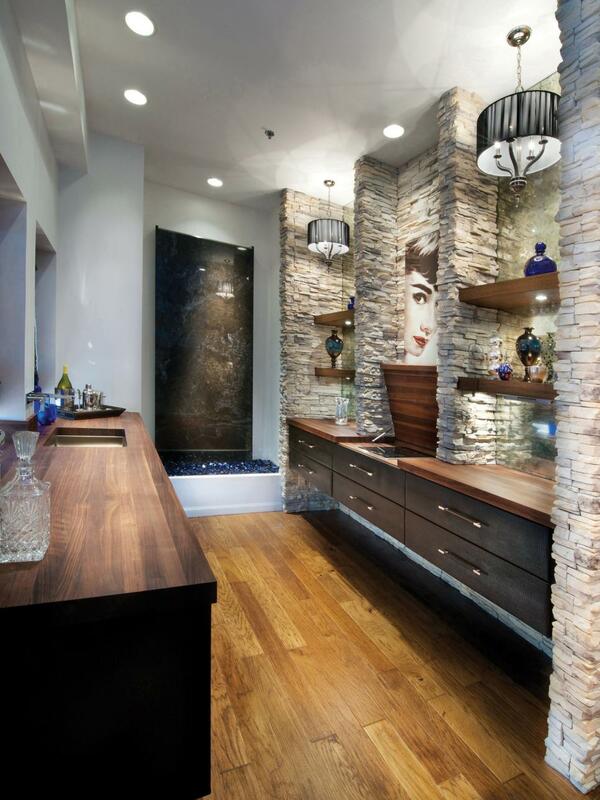 Along with the countertop, a vanity sets the mood for your bathroom. When doing a remodel, you don’t want to skimp on this area. However, you will find something to fit almost any budget to create a new look. A floating vanity not only looks modern and sophisticated, it saves precious floor space as well. Some of them come with storage underneath while others put the attention on the sink or countertop. Pair a floating vanity with a glass top, and you’ll create the illusion of more space. Costs: Expect to pay over $1000 and up to $2000 for more complex styles. Find pieces at a flea market or even in your own home to repurpose as a bathroom vanity. — This option creates a custom look and may even preserve a few precious memories. You can use a console table, dresser, or floor cabinet for your new vanity. Just make sure it’s the right height or cut it down. Seal it to make it waterproof and prevent damage. You’ll also have to create openings for the plumbing and sink. Costs: Can vary based on how much you pay for the piece, but expect between $100 and $500 to get it ready for use. Make a tiny bathroom feel bigger with open shelving instead of a closed vanity. Display a few stacked or rolled towels and other bath essentials on the open shelves, but leave plenty of space bare. You have the option of purchasing a vanity with open shelves or you can build your own and install a sink and fixtures on top. Costs can range from $100 to $1000 or more, depending on the design and size. 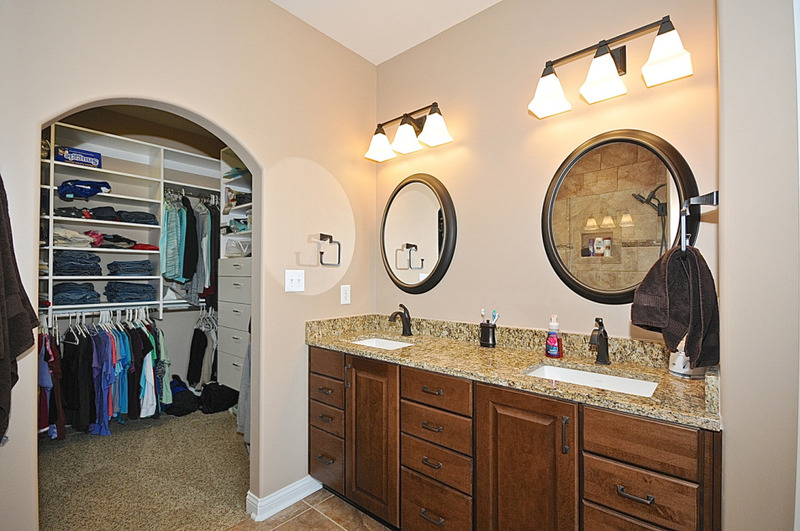 Storage space is essential for bath towels and supplies and many bathrooms are in short supply. You can find creative ways to add storage space to your room. If you’re limited on floor space, you may think about hanging cabinets from the wall. Another option is to set the cabinet on your bathroom countertop. The benefit with this choice over wall cabinets is you can select a taller cabinet with more storage space. Choose one that extends from the ceiling to the counter and secure it in place for ample storage which is also easily accessible. Costs: Varies from $100 up to $400 or $500 if you choose a custom style. Take advantage of often-forgotten wall space with floating shelves. 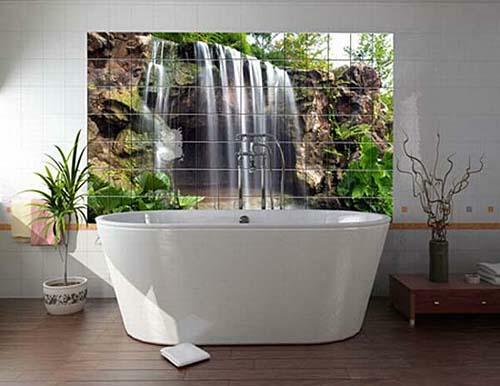 Create your own to use if you have odd shaped areas, such as between the sink and toilet or above the tub. Even a shelf as narrow as six inches or less can hold your toothbrush or hairspray, reducing clutter on your countertop. A side benefit of this project is that you can use any size wood and find the parts you need at any home improvement store. Costs: Can vary widely with shelves starting at $25 if you already have the wood or $100 each if you purchase all parts. One of the easiest ways to add storage to any small space, especially a bathroom is to use portable containers. Wicker or woven baskets, glass jars or plastic containers can utilize even the smallest of bare space for added storage. They even contain clutter on your countertop to help conserve space and keep you organized. Costs: Can start at less than $20 and go up to $100 or more, depending on how many storage units you need. Add a touch of sophistication and ample storage space with custom cabinets. Unless you’re an expert craftsman, you’ll hire this project done by professionals, which increases the cost. However, it extends your storage in a cohesive way, especially if you have an unusual layout. Costs: For each cabinet, expect to pay at least $500 and up to $1000 for each.